This morning our view was across the fresh waters of massive Deer Lake. Last night after the crescent moon set over the lake the sky lit up with stars, which we enjoyed from our pillows through the large skylight. I can’t imagine owning an RV without such a skylight, and this is the only one I’ve seen with one. 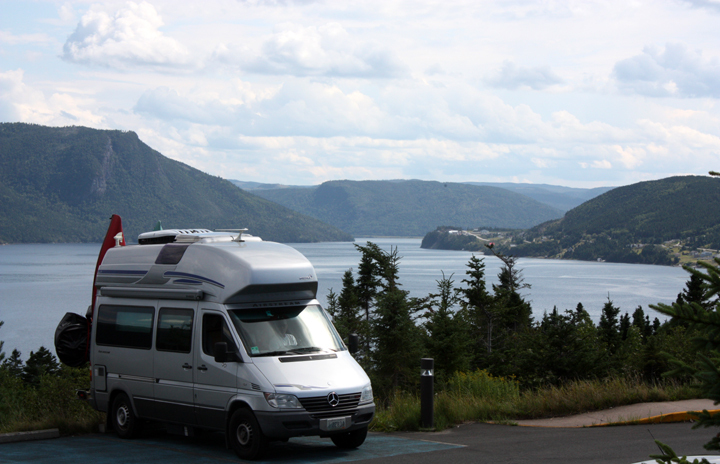 We arrived at Gros Morne around noon time. Ran into some folks from Colorado that we met in New Brunswick at the Discovery Center, which was fun. 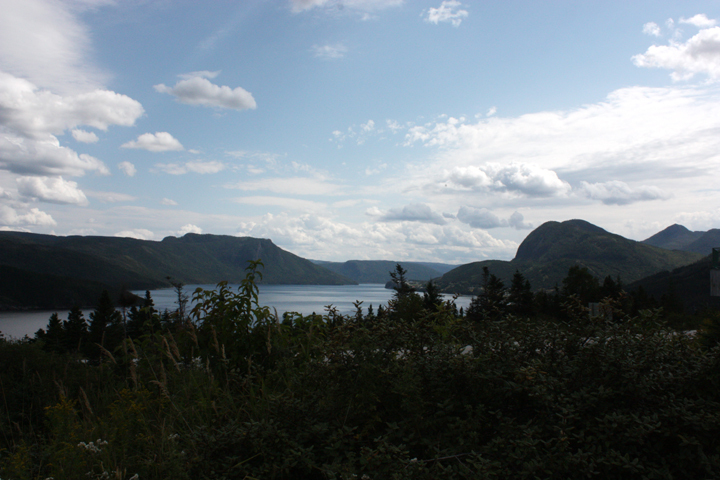 When we last saw them they were not sure they were coming to Newfoundland and here they are! They have been on the road since February and may not get back home for several more months…and we thought we were adventurous! The drive into and through this park is amazing. Even if you are not able to hike it’s definitely worth coming here. We’ve only gotten a taste of it so far and I’m quite sure these photos are just the beginning. 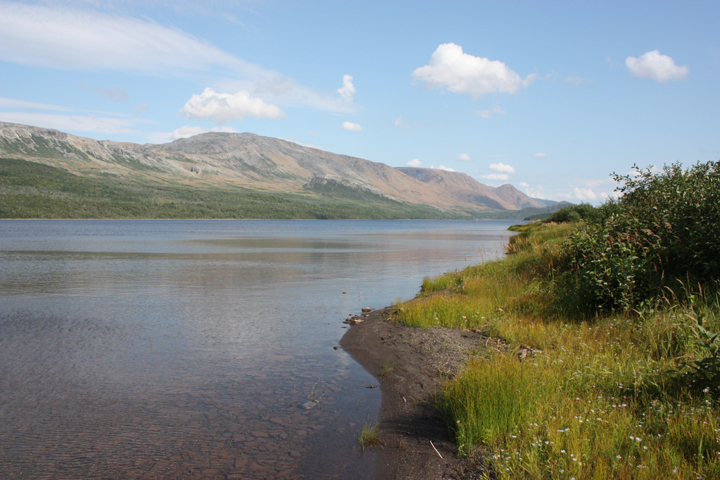 We checked into the Trout River campground for three nights and took a short hike from here down to Trout Pond. We took a few hours to kick back and take in the beauty too. wonderful blog. thanks so much. Glad you visited Taffy’s Venice of the north and especially Little Bay Islands. We didn’t lie, did we? 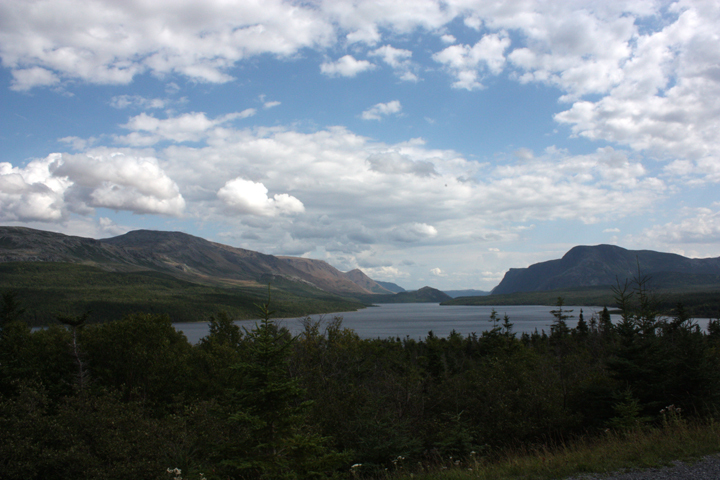 Now please be sure to take the boat ride into Gros Morne. Mandatory. You will NEVER forget it. Had the giraffe serviced today and Chip talked with the electrical techie about your lockout problem. He thought that maybe your key was loosing it’s memory ???? ?Probably a trip to Altrui Bros is in your future. We’re preparing for Westyfest #5 next weekend and wishinf that we were with you instead.